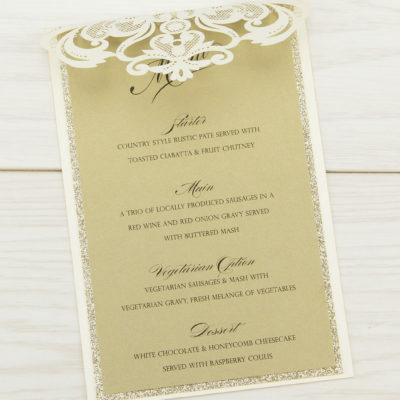 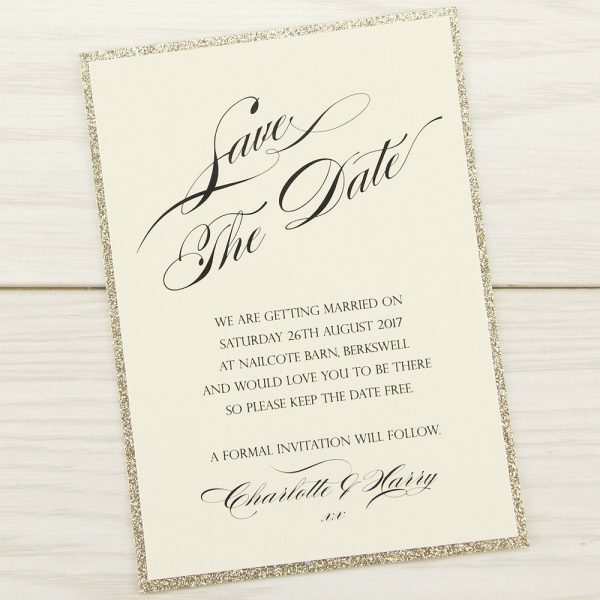 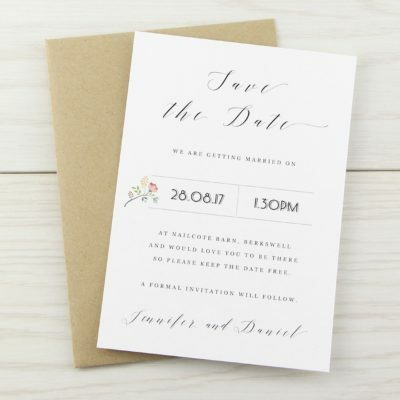 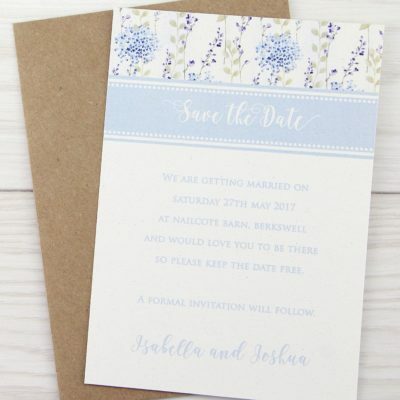 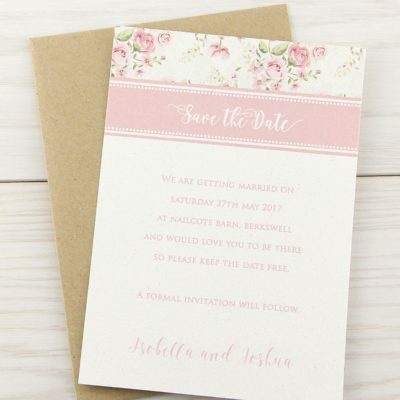 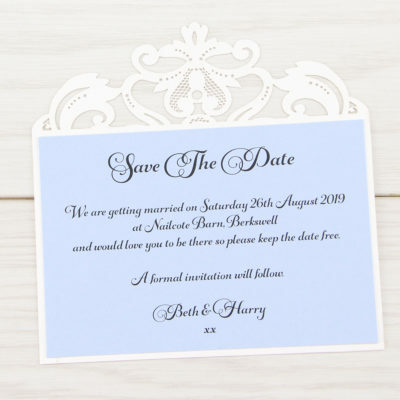 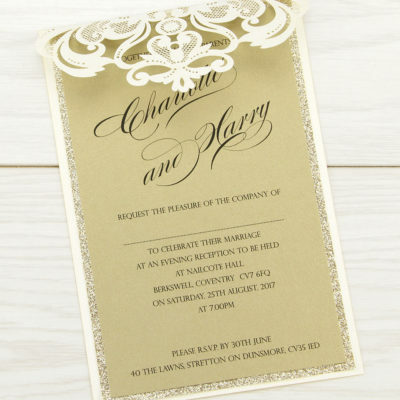 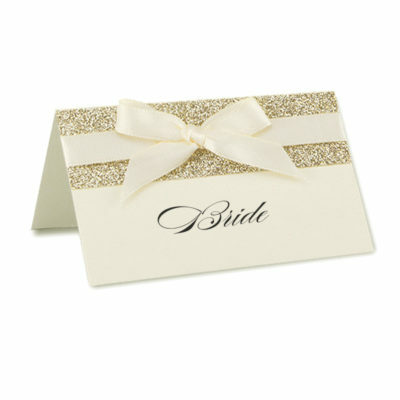 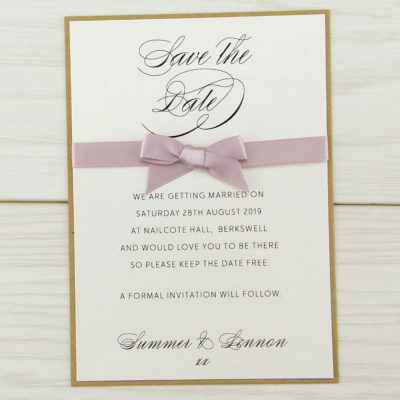 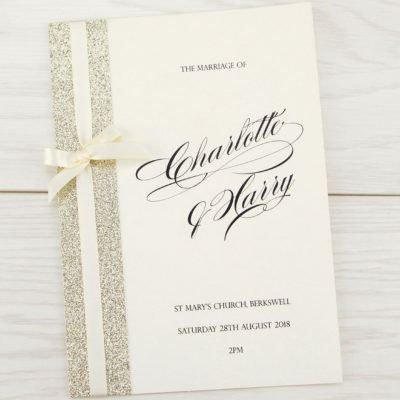 Featuring fabulous glitter save the date card with script detail. 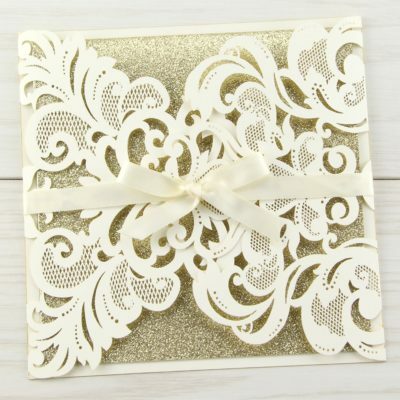 Designed to compliment our Iris glitter range. 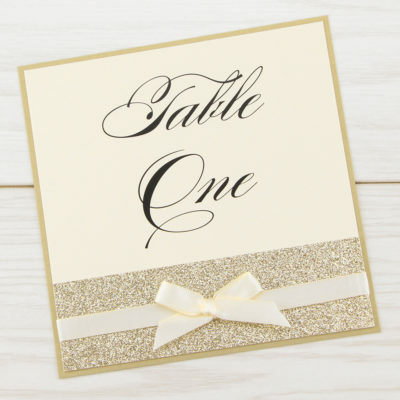 Glitter base card, personalised print on card of your choice.